The 2019 Full Tilt First Chair 6 packs all of the same punch as the First Chair 8, but with a softer flex. Most of us prefer a softer forward flexing ski boot to drive today's softer flexing rockered skis and the First Chair 6 addresses the need. The First Chair 6 features the original lightweight 3-Piece design and 100% Moldable Intuition liner, melded with a balanced forward flex and lateral stiffness. 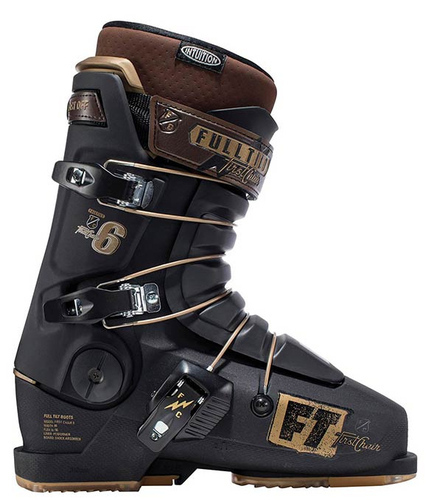 The perfect ski boot for most of us mere mortals.